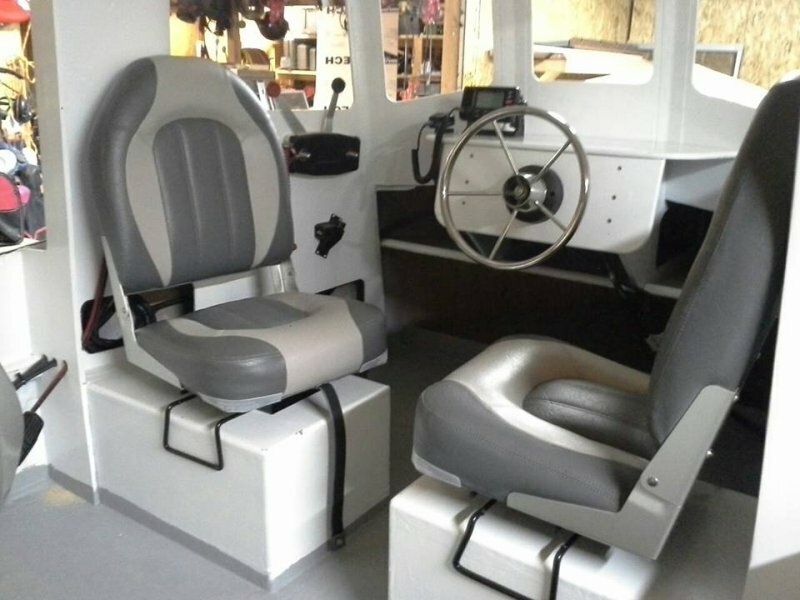 I recently launched my build of a Candu Junior mini tugboat designed by Berkeley Eastman. The Candu Junior is 11 feet loa. This build is powered by a Honda 20 hp outboard and gets on a plane at about 18 mph. The motor is mounted in a motor well/ tunnel inboard. Planing hulls can be seen aft to assist with planing and stability at speed. The boat is very stable at speed. 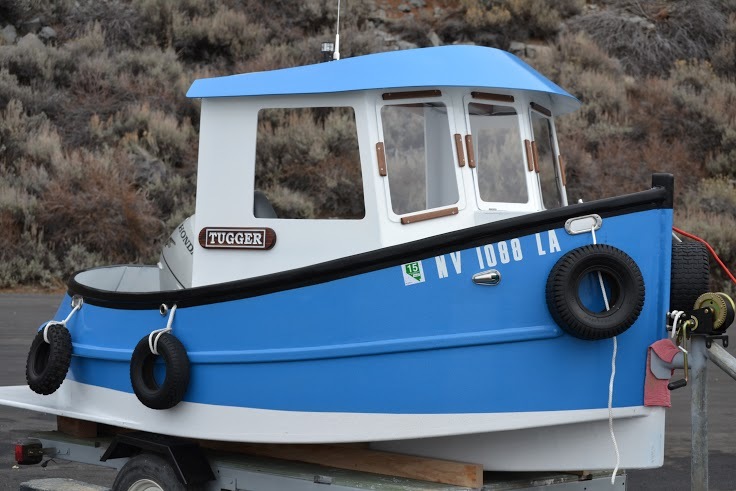 The boat has classic tugboat lines but in a very compact package. The boat is rated to carry 4 adults. It took approximately 2 1/2 months of late nights and weekends to build the boat. I launched at Cave Rock in Lake Tahoe in early January. 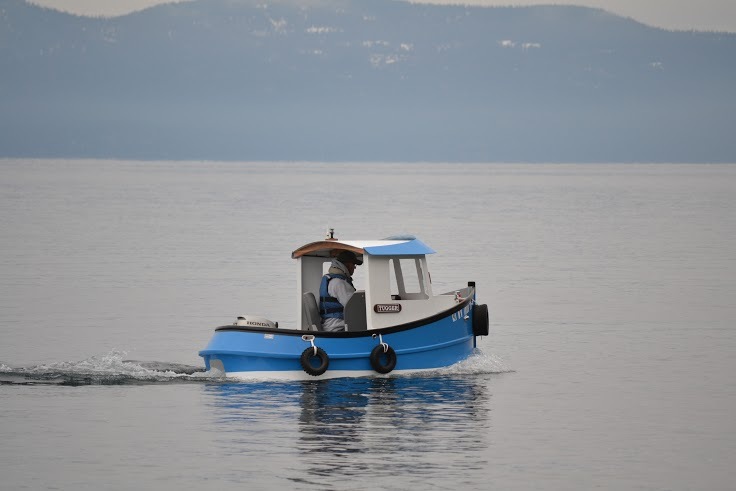 The attention this boat gets, everywhere I go, is overwhelming so I have decided to build 2 more for a Spring/ Summer launch for any interested party. Color schemes and details to be determined by interested party.